I have never, ever been interviewed in my life before (job interviews do not count). Why would I? I am neither rich nor famous. Or infamous, for that matter. When the lovely Zena at Zena's Suitcase asked if I wanted to do The Blogger Interview, I thought, "Why not?" I had only recently been the interviewer asking lots of questions to a fellow blogger and author. It should be interesting to see things from an interviewee's perspective. Especially as this might be the only interview I ever get to do! So here goes. A no-holds barred insight into my blogging soul. It all started when I gave up my job and decided to be a stay-at-home mother to my baby boy. Despite the pressures of newfound motherhood and sleep deprivation, I found my head often swirling with thoughts. These needed an outlet, so I did the one thing I always wanted to. I started to write. It was a hand-written diary to start with, which soon became a personal blog. I had an old blog languishing in the virtual world. It was supposed to be my rambler's blog, all about countryside walks and hikes. Being a first-time parent felt a lot like fell-walking. You start the day thinking you know what lies ahead. Then the weather changes, you are enveloped in a storm. So you pull out those emergency reserves and crack on. There is a lot of scraping and scrambling, a few tears, lots of frustration. And then there are days when the sun shines bright when you least expect it and it is all smooth sailing from dusk to dawn. Whatever the situation, there is no replacing that amazing sense of joy and pride that comes with knowing you did your best and got there in the end. With cuddles and kisses to spare! So it is that 'Rambling Through Parenthood' was born. If blogging is really something you want to do, hang in there. There are going to be lots of ups and even more downs. Try not to let any of it bother you. The blogosphere is enormous, but there is space here for everyone. Just do what you are most comfortable and happy doing. Everything else will follow. Sooner for some, a bit later for others. But if you put in the hard graft, good things will happen. Plus you will meet some fantastic people along the way. Perhaps even make friends for life. It is almost unrecognisable to when I started! The layout, the colour-scheme is completely different. Even the things I write about and the way I write them has changed. I think my photos look a lot better. I hope so anyway! I would absolutely love to blog about a cruise holiday. We have never been on a cruise before, not as a couple and certainly not as a family. I am excited by the idea of being afloat on the vast blue ocean for days on end, experiencing all the luxuries of a top-class hotel. And the fact that you wake up in a different beautiful place each morning. Now that certainly is my kind of holiday! All I would like to say is please provide us with all the details for the brief right at the outset. It just saves the hassle of going back and forth on email, trying to get to the bottom of what is actually required. And please, do pay us bloggers on time. We don't like having to chase unpaid invoices. Hmmm, let me think. 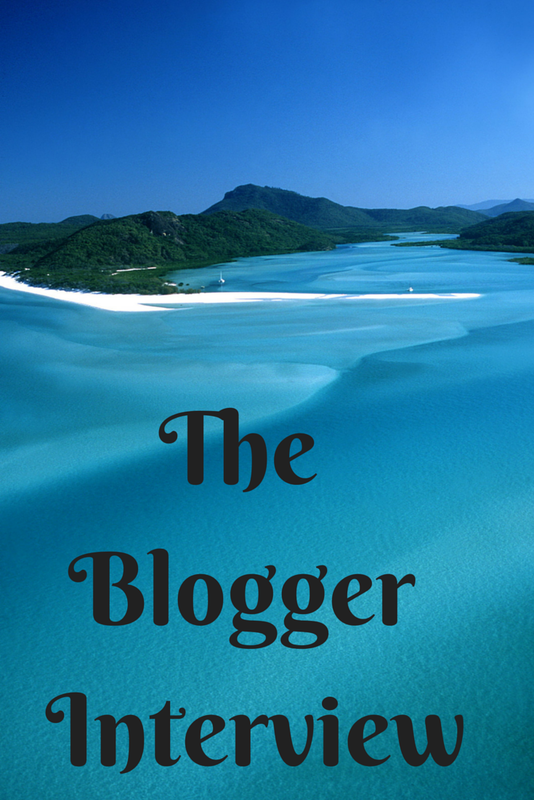 To be the best blog out there! That is the dream, anyway. I appreciate the flexibility blogging as brought me in terms of a work-life balance. It has given me the opportunity to do things, experience things, I wouldn't normally have access to. Now if only it can bring me enough money so I can actually call it my job, that would be just brilliant! Realistically, I would love to go pro with my blog and be able to earn a living from it. I do like to keep an eye on my rankings, but I have stopped obsessing over them. Like all things blogging, numbers go up, they come down. It took me some time, but I have realised that staring at the computer screen willing for that number to better was not worth the effort. I was better off utilising the time actually working on my blog. Which bloggers would you love to interview? Thanks for tagging me! I will share my post very soon! That is one brilliant interview, it's lovely to have you talk just about you and your parenting and blog journey. It's not going to be the last time you do this, by a long shot. Great answers! and such fab questions from Zena! I love reading these types of things. I need to get my bum in gear and do mine! It is so interesting to read posts like these, to see how bloggers got started and what they have learnt!